Park Hyatt Tokyo, Grand Hyatt Tokyo, Hyatt Regency Tokyo, Andaz Tokyo, and More! Through December 10th, 2014, Hyatt is offering a 30% bonus on the purchase of 5000 or more Hyatt Gold Passport points. It’s usually cheaper to just pay for the room than to buy enough points to pay for it. Award stays (using just points) do not count towards receiving points, or receiving stay credit for obtaining or maintaining higher status levels like Platinum or Diamond. However, the current bonus does a lot to make purchasing points for a stay feasible, and the Points + Cash option at Hyatt hotels seals the deal. Started just this year, Points + Cash rates allow you to use points to receive a deeply discounted room rate (the exact amount of points and cash required varies depending on the Award Category Level of the hotel). Because it is a paid rate, you also receive points for the stay, and a stay credit. And, like a regular rewards stay, it is a fully refundable rate. The best part about Points + Cash rate is that it is a flat rate, regardless of time of year it is used. So the more high demand/high cost time period it is, the more potential value you can receive from this offer. Let’s look at how Points + Cash stacks up against the Tokyo Hyatt hotels. I will choose a three night stay for two adults, during an arbitrary high demand period: March 27-30, 2015. First, the Hyatt Regency Tokyo. This hotel is Award Category 3, so according to the Points + Cash chart, the rate requires $75 USD and 6,000 points per night. For our three night stay, that is $225 and 18,000 points. With the 30% discount, we can purchase 18,200 points for $336. Adding to our $225 gives us a total of $561. 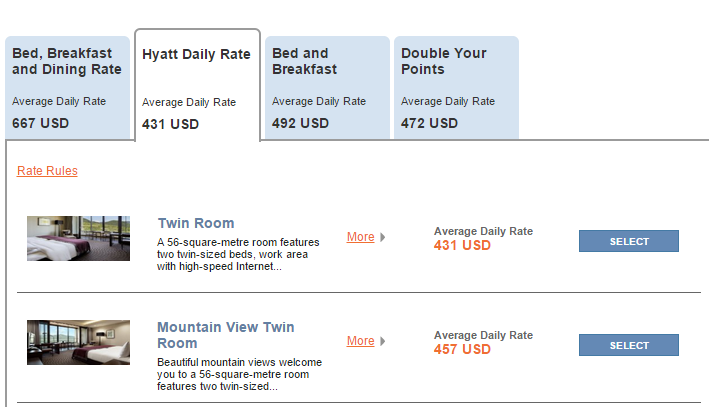 Dividing that by three nights gives us a Discount Purchased Points + Cash (I’ll call it “DPP+C”) rate of $187/night. As of today, the lowest Hyatt Regency Tokyo refundable rate for those nights is $212. DPP+C gives us a little over 10% savings…and shows that we shouldn’t even bother with this if we must purchase points at the regular price. Next is the Andaz Tokyo. This hotel is Award Category 6, doubling the nightly P+C cost to $150 USD and 12,000 points a night, or $450 + 36,000 points for all three nights. With the 30% discount, we can purchase 36,400 points for $672. Adding to our $450 gives us a total of $1122. Dividing that by three nights gives us a DPP+C rate of $374/night. This just barely beats out the best Andaz Tokyo refundable rate of $397, and if you’re willing to accept a prepaid, no-refundable rate, is worse than the Advance Purchase rate price of $338. Given the time and effort required, we’ll call it a push. 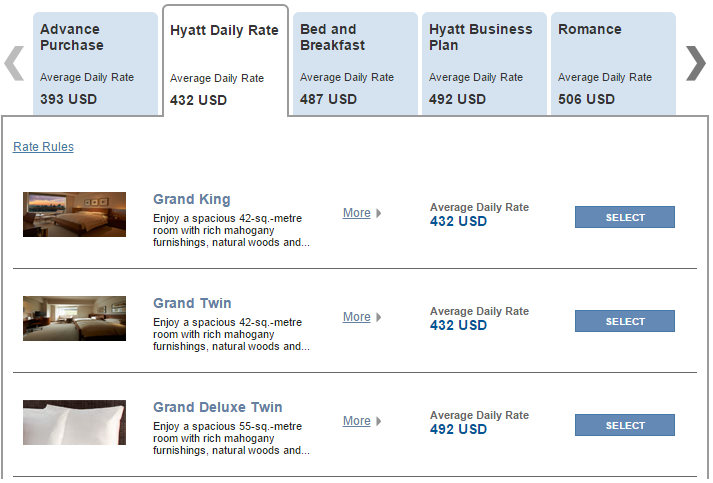 Grand Hyatt Tokyo is also an Award Category 6 hotel, so the DPP+C rate is also $374/night. 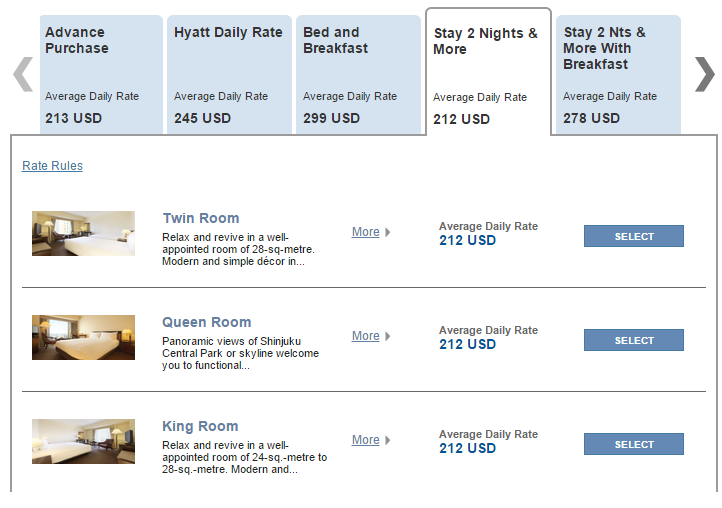 Here we do much better than the Hyatt Daily Rate of $432…an over 15% savings! It even beats out the inferior Advance Purchase rate. DPP+C wins the rubber match in convincing fashion! Sadly, I’m not even going to look up Park Hyatt Tokyo. First of all, the P+C rate can only be used for base room, for which none are currently available for March 27th-30th. Second, the Park Hyatt Tokyo is an Award Category 7 hotel, which requires 15,000 points and a whopping $300 USD/night. Buying enough points to cover the 45,000 required for three nights will cost $840, which adds to $900 cash fee for a grand total of $1740, giving us a per night rate of $580. And if you have to settle for $580/night for a base room at the Park Hyatt Tokyo, then you’re just not trying hard enough. But, outside of the Park Hyatt Tokyo, I think that I have shown that purchasing discounted points for a Points + Cash rate at a Tokyo Hyatt hotel can be beneficial. 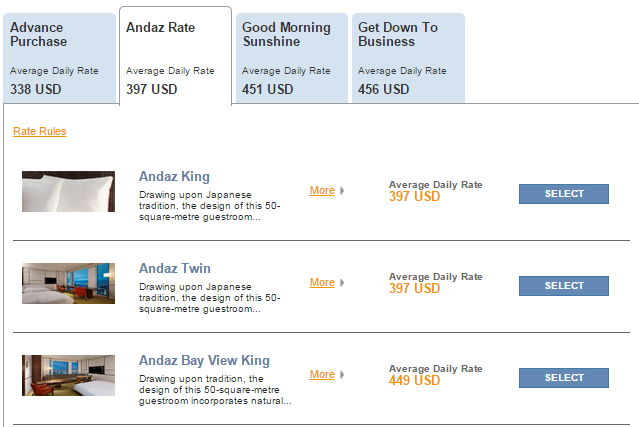 And, in the case of the Hyatt Regency Tokyo and the Grand Hyatt Tokyo, the DPP+C rate can be significantly beneficial. Unfortunately, the Points + Cash rate cannot be booked online; you must call Hyatt Gold Passport to book it. And, unlike a straight points reservation, inventory may not be available for a Points + Cash reservation even if it is available for the Hyatt Daily Rate. But, if you’re willing to put in a few minutes of time on the phone, the resulting savings may be well worth your effort. Bonus Content: Like the Grand Hyatt Tokyo and Andaz Tokyo, the Hyatt Regency Hakone Resort & Spa is also an Award Category 6 hotel, so DDP+C rate remains $374/night. And like the Grand Hyatt Tokyo, DDP+C would give you a savings of over %15 off the Hyatt Daily Rate. American Express is running a promotion with Hyatt for a special rate that allows you to book a four night stay for the price of three from December 1st, 2014 through March 31st, 2015. A lot of times these “special rates” are actually marked up significantly from the regular rate, the end result being not much in the way of actual savings. But this rate appears to be tracking the Hyatt Daily Rate, which means that you actually can save up to 25% on your stay. Click on the SPECIAL RATES link to open the code entry window. If there is availability for all four nights, the “Amex Buy 3 Get 4″ rate will show up, with the Average Daily Rate being the value of the Hyatt Daily Rate (or Andaz Rate for Andaz hotels) with the last night’s rate fare waved. 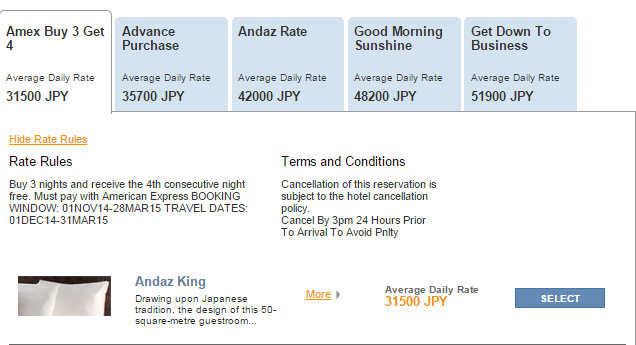 In this example, it is three nights at 42000 yen and one night at zero yen, for an average rate of 31500 per night. Up to 25% savings for stays of exactly four nights. The only limitation of this rate is the requirement of an American Express credit card for payment. Cancellation policy is the same as the Andaz Rate (or Hyatt Daily Rate at other hotels), for a rate much cheaper than the more restrictive Advance Purchase rate. If staying eight nights, break your stay into two four nights stays for two free nights. As always, it is best to book fully refundable fares and check periodically for better offers. This is a good deal, but we should always be on the lookout for more! On the front page of every Hyatt hotel website, there is a link to a very useful resource that few people take advantage of: the hotel Fact Sheet. Buried in plain sight between Parking and Hotel Features. 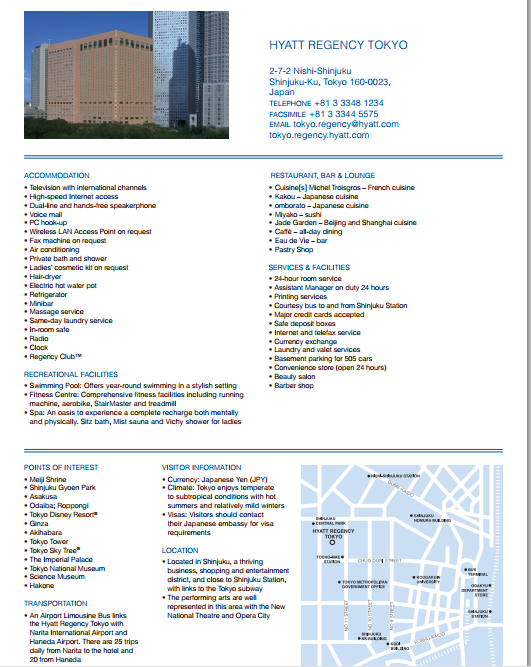 The Fact Sheet is a PDF file that offers a wealth of information on the hotel that fits on a single piece of paper. A bit small to read here though, so click this to bring up the full file. If you’re wondering which Tokyo Hyatt hotel is right for you, printing these all out and comparing them side by side is not a bad little way of quickly comparing and contrasting the hotels to determine what is best for your situation. Give them a look over and see what you think! If you have the flexibility to determine exactly when you can make your stay at a Tokyo Hyatt hotel, you may be interested in which specific time periods offer the best value for a stay. Based on these values, I have also determined the base value of Hyatt Gold Passport at these hotels. In other words, this is the minimum value that you will receive for redeeming your points at each particular hotel. All results are based on the tax and fee inclusive rate for single night stays based on double occupancy and availability as of June 19th, 2014. It is intended as a ballpark reference, and is not representative of realtime conditions. 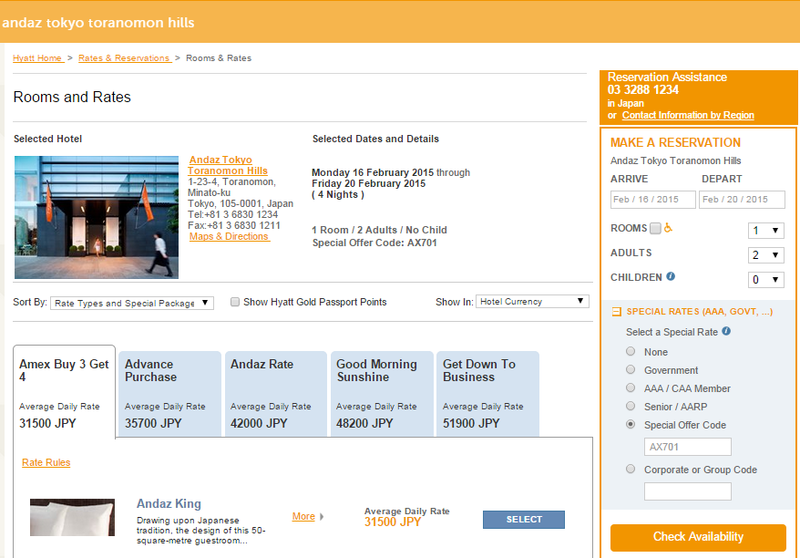 To check on current availability and different variations of these searches, please utilize the Tokyo Hyatt Power Search and the Tokyo Hyatt Date Range Search tools. 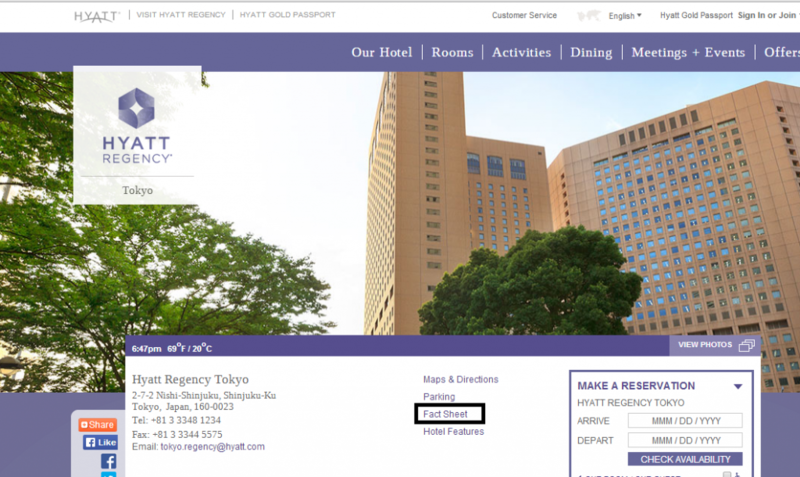 Post by Hyatt Regency Hakone Resort and Spa – ハイアットリージェンシー箱根リゾート＆スパ. HARU was involved in a traffic accident when he was still a puppy, but it’s good to see that he’s still gone on to lead a happy, productive life. If you are fortunate enough to meet him, please show HARU some love!